Included is a dining table and a dining chair. The table legs are repository linked from the chair frame, so the table legs are not recolorable, instead you should recolor first the dining chair frame for it to show up. 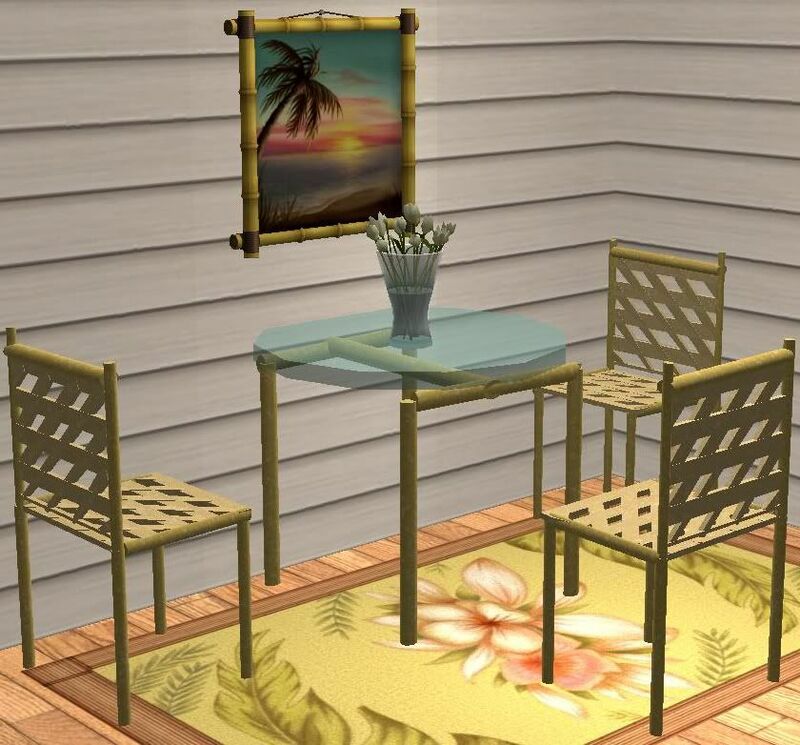 Any recolors of the dining chair frame you have in your downloads folder will show up in the dining table legs. The glass is recolorable. Enjoy!